Kuala Lumpur or KL as we locals like to call it is my hometown and the capital city of Malaysia. I know it looks hard to pronounce so feel free to use its more popular name, KL. Loosely translated, it means "muddy river mouth" as it is situated at the confluence of the Klang and Gombak rivers. From a sleepy little mining town, Kuala Lumpur has emerged as a flourishing metropolis over the last 150 years. 1. 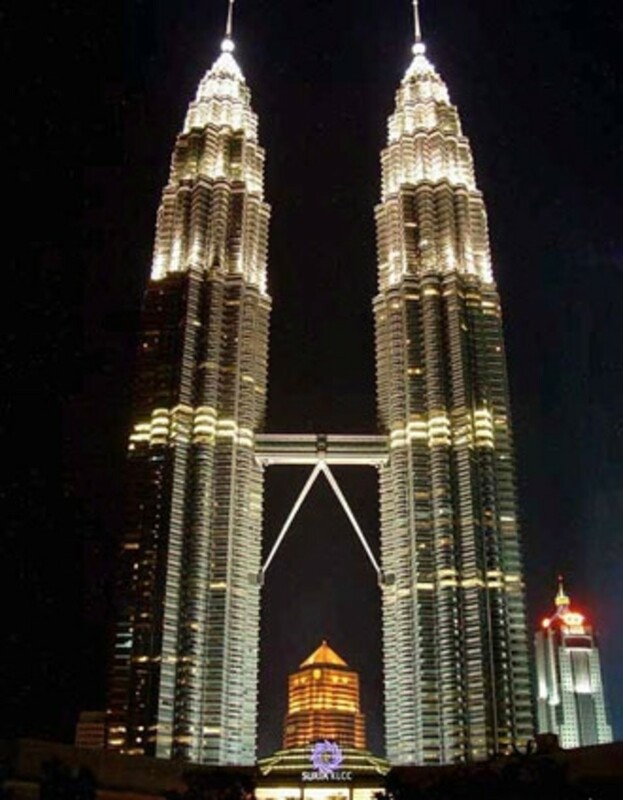 Petronas Twin Towers - Tallest Twin Buildings In The World - Visit our world famous landmark! The 88-storey Petronas Twin Towers are the tallest twin buildings in the world. Located in the heart of the city, it contains a complex of office buildings, conference halls, an upmarket shopping complex and a sprawling park. The Towers' entrance lobbies are a showcase of Malaysia's cultural heritage with contemporary Malaysian motifs adapted from traditional handicrafts and timber carvings. The floor design has been laid in a popular 'mengkuang' weave mat design. A 58.4 meter sky bridge at levels 41 and 42 links the two towers. The unique double-deck sky bridge stands 170 meters above street level with its arch support forming a symbolic gateway to the city centre. The sky bridge is open to the public from Tuesday to Sunday and is one of the top places to visit in Kuala Lumpur to get an aerial view of the city. Pay a visit to the Italian Restaurant, Marini's on 57. 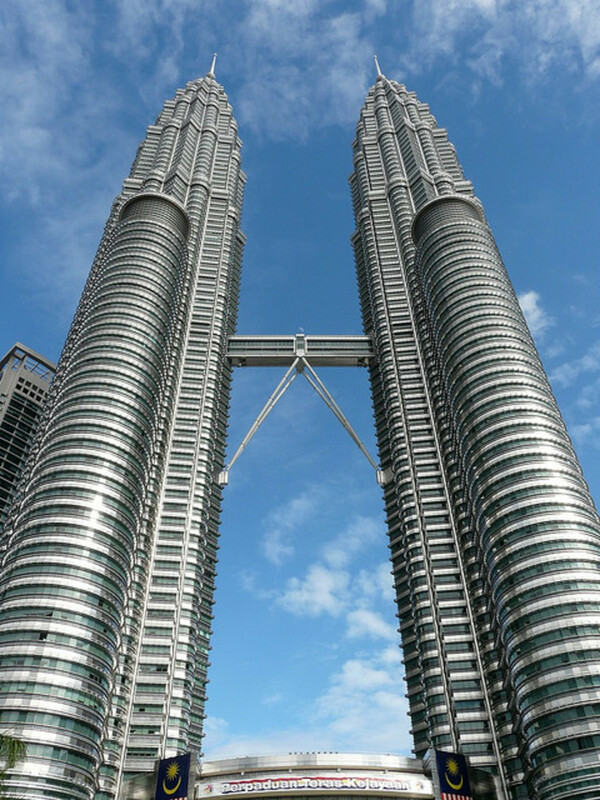 It is located on Tower 3 of the Petronas Towers to give you a direct view of the magnificent Twin Towers. After visiting the Twin Towers, Suria KLCC would obviously be the next stop. 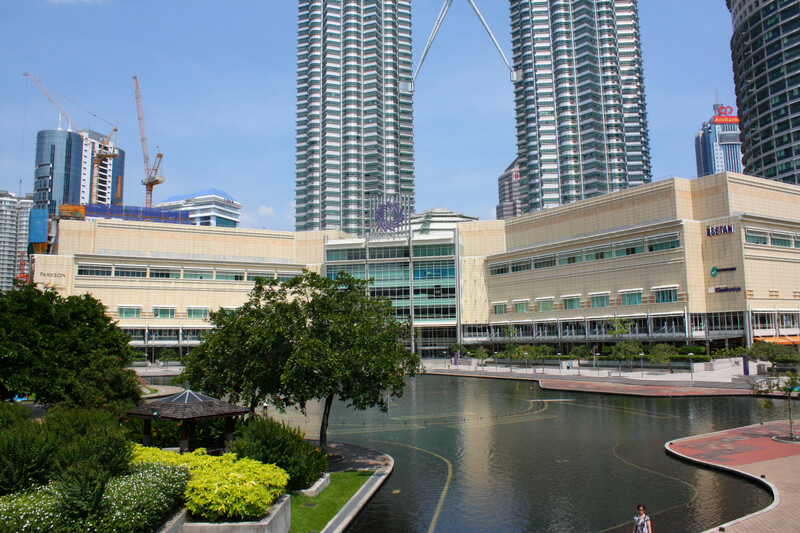 It is KL's premier shopping destination and part of the complex housing the Twin Towers. With 6 levels of retail outlets it is a shopper's paradise from fashion, entertainment, arts & culture to local delicacies and international gourmets. One of the things to do in Kuala Lumpur is to make a family day trip to Petrosains which is a Science Discovery Center on the petroleum industry and the Petronas Art Gallery which displays the works of Malaysian and foreign artists. A popular tourist destination at Suria KLCC is the Aquaria, a giant aquarium which is both an educational as well as an entertaining excursion for adults and children. The Forest Research Institute of Malaysia or FRIM is a must for all nature lovers to appreciate the rain forest. Located just 16 km from the city, this 1528 hectares of forest contains a wealth of flora and fauna. 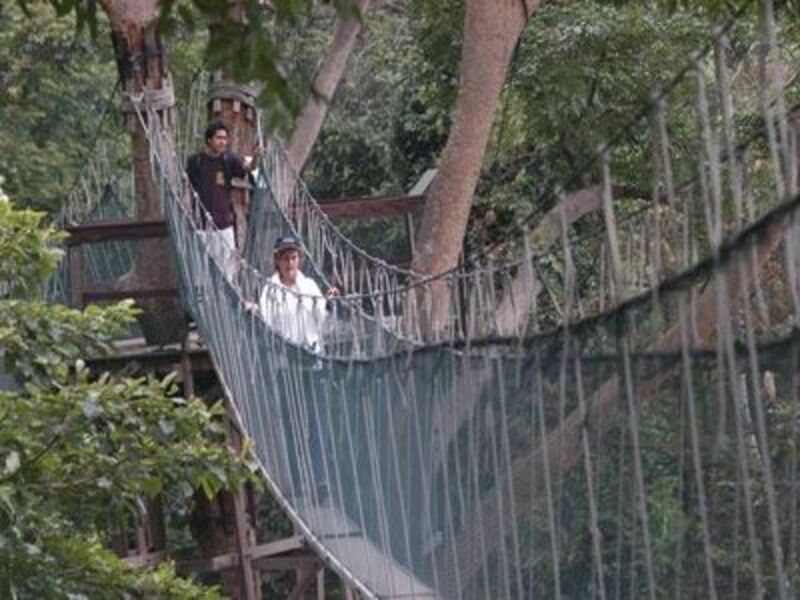 One of the fun things to do is to take a walk on the canopy walkway which is suspended 30 m from the ground and is over 200 m long. You will enjoy a breath-taking view of the city and its surrounding greeneries. There are also lots of fun activities for the family like camping, picnicking at the waterfalls and jogging. It is best to go during the mornings as the walkway is closed after 2.30pm due to strong winds at that time. The shady nature trails are pleasant walks to see hundreds of plant life as well as almost 30 species of local bamboo at the Bambusetum. One favorite place for tourists is Petaling Street, Kuala Lumpur's Chinatown. At night the streets are turned to pedestrian walkways where you will find all sorts of bargains. Cheap souvenirs and local Chinese food are aplenty. The general rule when shopping here is to BARGAIN!. Never pay the price that is offered. The shopkeepers expect you to haggle for the best price. Even if if you don't buy anything, the stalls themselves are great tourist attractions. You also get the opportunity to taste some Malaysian street food. Be sure to to pay a visit to Royal Selangor to see how pewter is made. After all, Kuala Lumpur boomed as a result of tin. In 1885 a young pewtersmith, Yong Koon sailed from China to Kuala Lumpur where the discovery of tin had lured thousands of Chinese to this sleepy town. He enjoyed brisk business making simple household items. In the 1930s when the world was going through difficult economic times and the demand for traditional pewterware was dwindling, Yong Koon and his sons started making European style products. This was the foundation for the export business at Royal Selangor. 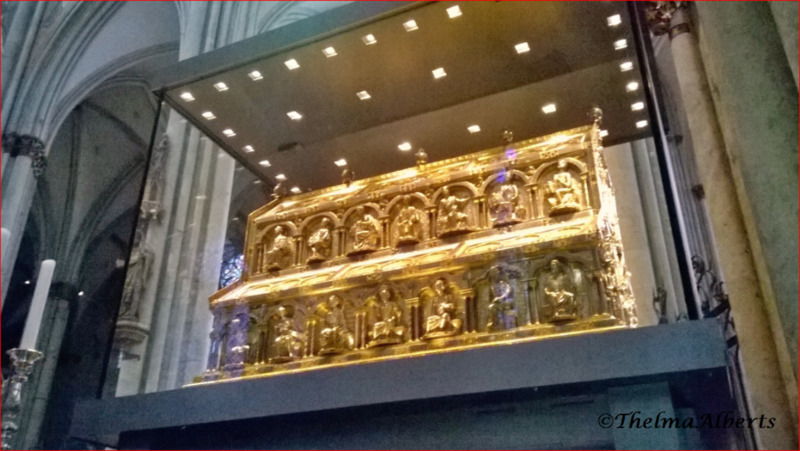 A visit to Royal Selangor begins with the Gallery section where visitors get a better understanding of pewter and also its history. In the Pewter Museum you can see a selection of the oldest pewtersmithing tools and antique pewter. The factory tour enables visitors to get a first hand glimpse of the crafting process in making pewter ware as well as the fine handiwork in creating fine jewelry by Selberan, a Royal Selangor company. So when is the best time to visit Kuala Lumpur? You may like to visit during one of the Top 10 Festivals In Malaysia. 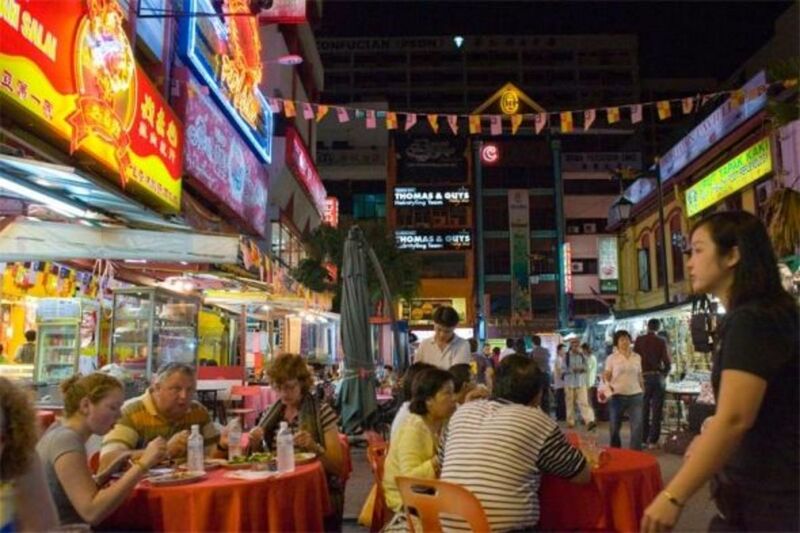 This will give you an insight into the Malaysian culture and way of life. 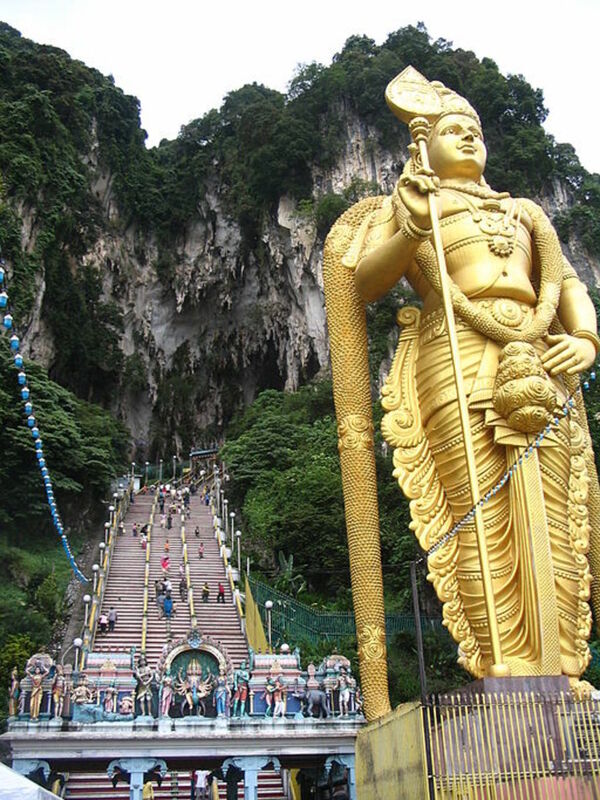 One of the places to visit in Kuala Lumpur around January would be the Batu Caves. It is located just 13 km north of Kuala Lumpur. It is a limestone hill with a series of caves and cave temples. The limestone around the caves is said to be around 400 million years old. Batu Caves is a sacred place of worship for the Hindus. Rising almost 100m above the ground Batu Caves temple complex consists of three main caves and a few smaller ones. The biggest cave is called the temple cave and has a 100m high ceiling. The Hindus make an annual pilgrimage to the caves around January climbing 272 rock stairs to reach the main cave to pay homage to their deity Lord Murugan at a festival called Thaipusam. Standing at 42.7 meters it is the world's largest statue of Lord Murugan. 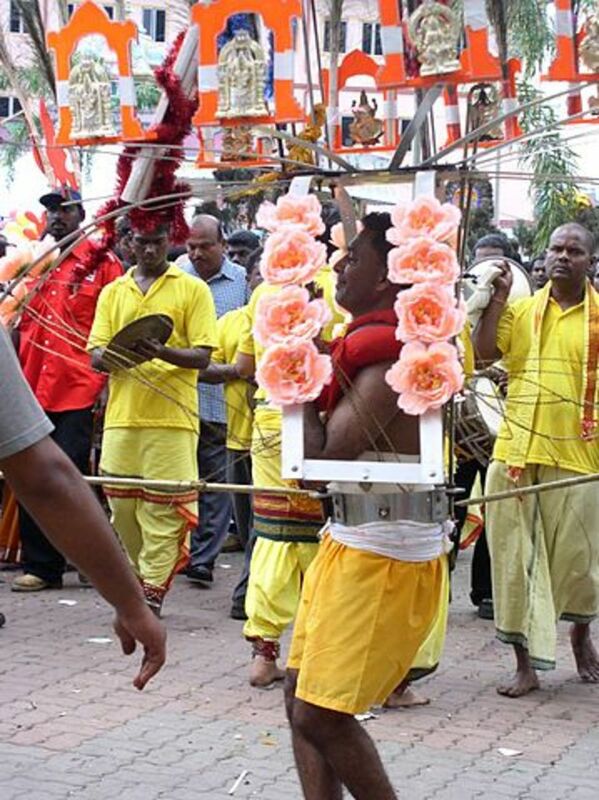 Thousands of devotees throng the caves with many doing some kind of penance by carrying a "kavadi". "Kavadis" are large, brightly decorated frameworks usually with hooks and skewers used to pierce the cheeks, tongues and skin. Book Kuala Lumpur Half-Day Batu Caves Tour Include a trip to the Malaysian Batik Cottage, Selangor Pewter factory and of course Batu Caves. 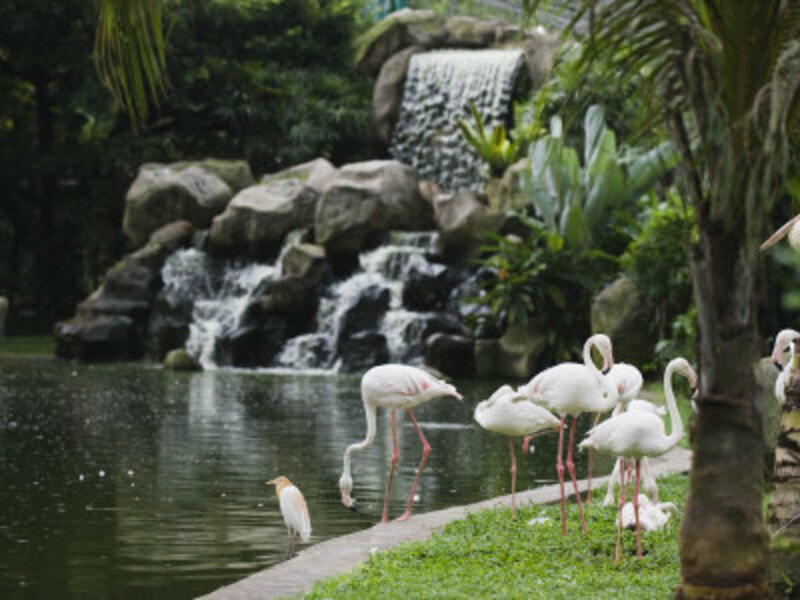 The KL Bird park is the place to visit in Kuala Lumpur for those who love to see birds in its natural habitat. 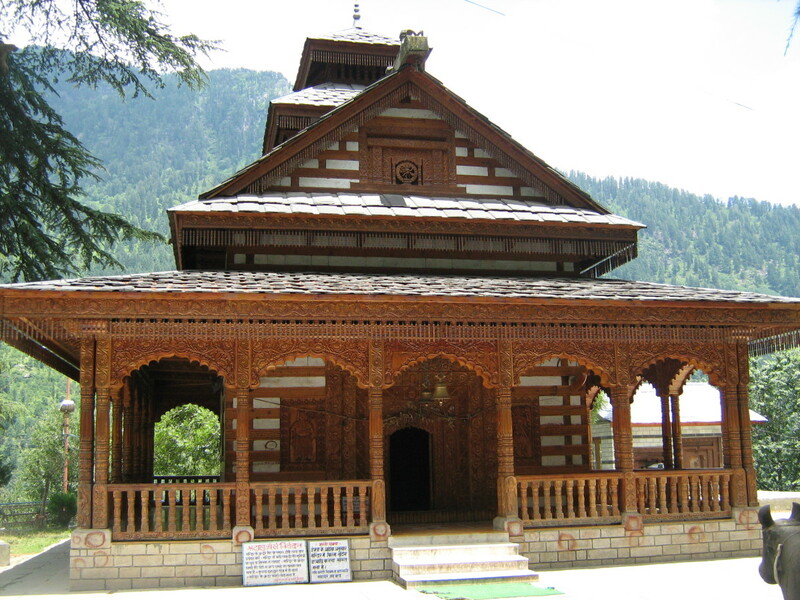 Located 10 mins from the city center, theis home to more than 2000 birds. 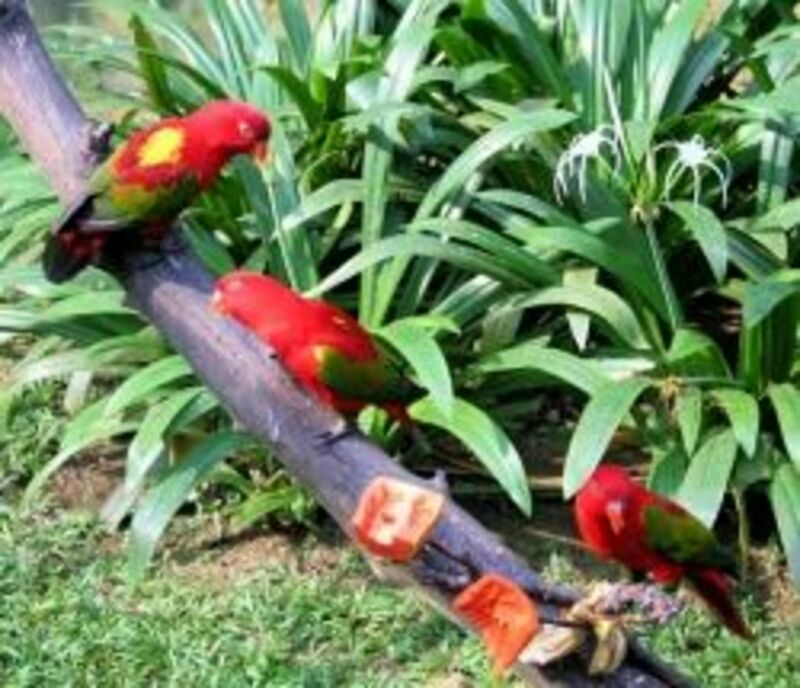 It is divided into 4 zones - Zone 1 and 2 are the free-flight zones while Zone 3 is the Hornbill Park and Zone 4 has birds in cages and mini aviaries. Visitors will enjoy watching a wide variety of birds from parrots, flamingoes, owls, horn bills, etc in a natural environment. The free-flight walk-in aviary is home to more than 60 species of birds flying and living together in harmony. 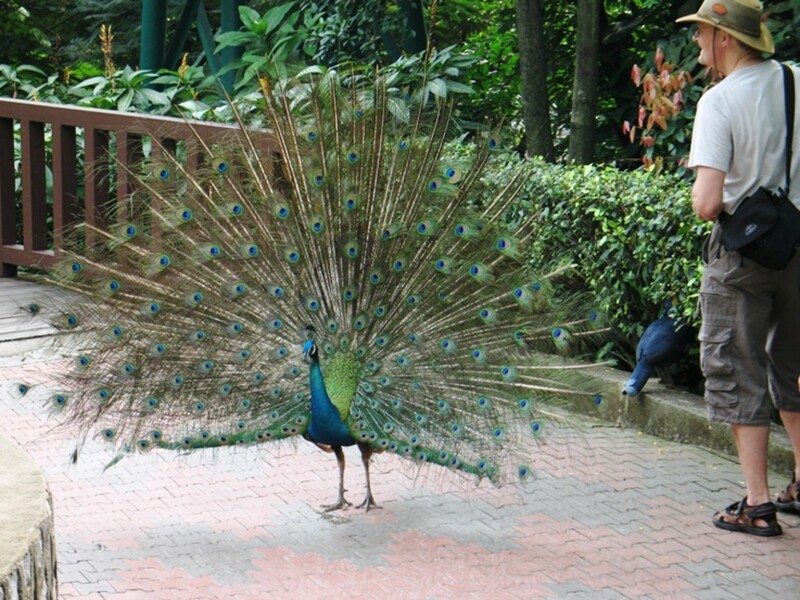 See the beautiful peacock with its 5 feet colorful train. It is also home to the Crowned Pigeon, the largest pigeon species in the world with a body as large as a turkey. You can also observe storks in their nesting colonies. The Hornbill Park showcases the Malaysian rainforest with its lush evergreen trees some as tall as a 10-storey building. 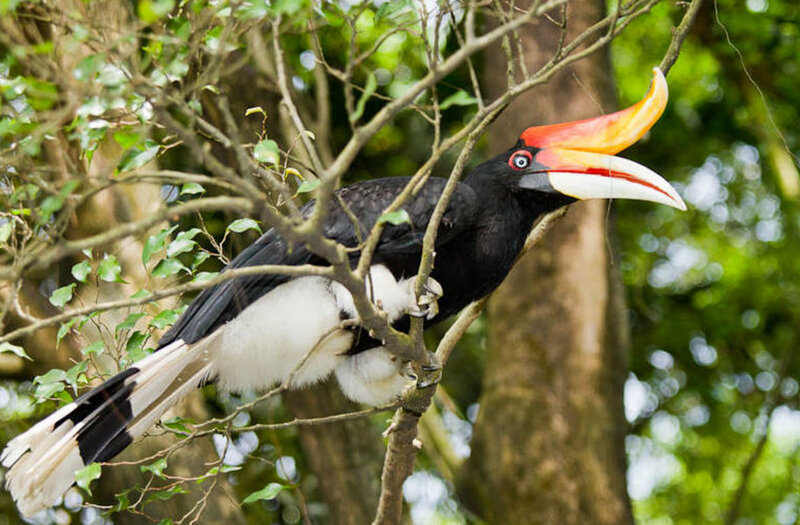 It is home to the Rhinoceros Hornbill, one of the largest Hornbill species in the world. The hornbill stands out with its shiny ebony black plumage, huge bill and upward curved casque in striking colors of red, yellow and orange. Other smaller hornbills, doves and guinea fowls share the same habitation. 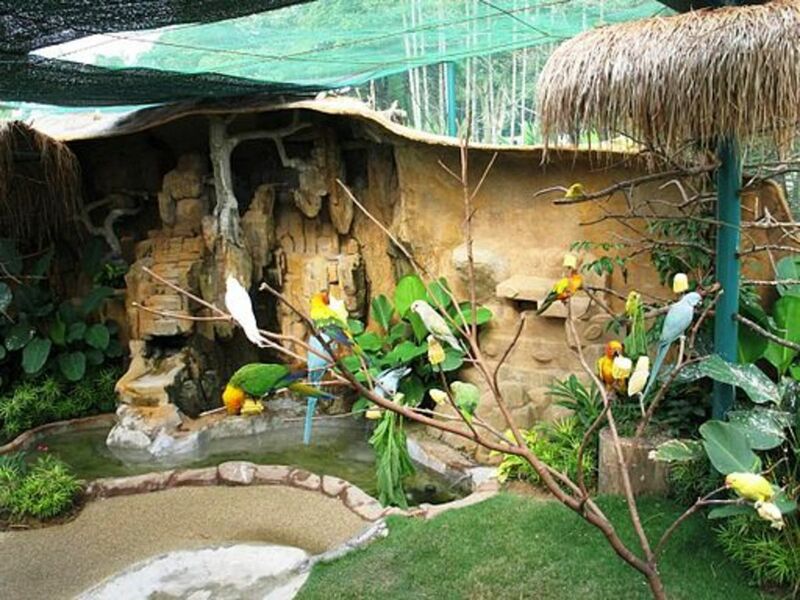 The Waterfall Aviary, located in Zone 4 is a mini aviary. With lush green trees and a 30 foot tall man-made waterfall it is also the sanctuary of the Milky Stork, one of the highly protected and vulnerable species in Malaysia. Don't forget to catch the Milky Stork feeding in this waterfall aviary at 4pm daily. 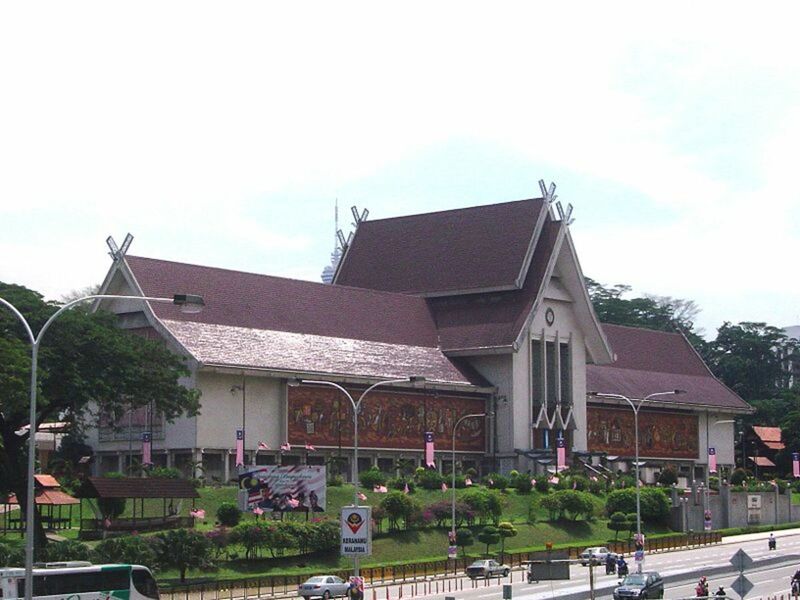 The Malaysia National Museum, a popular place to visit in Kuala Lumpur is built in the style of an old Malay palace. The facade looks magnificent with two enormous and beautiful murals. One mural depicts Malaysian history from the Melaka Sultanate while the other mural depicts the culture and handicrafts of Malaysia. The National Museum comprises of 4 main galleries. The Cultural Gallery exhibits costumes of the different cultural races of Malaysia such as Malay, Chinese, Indian, Iban and other ethnic groups. 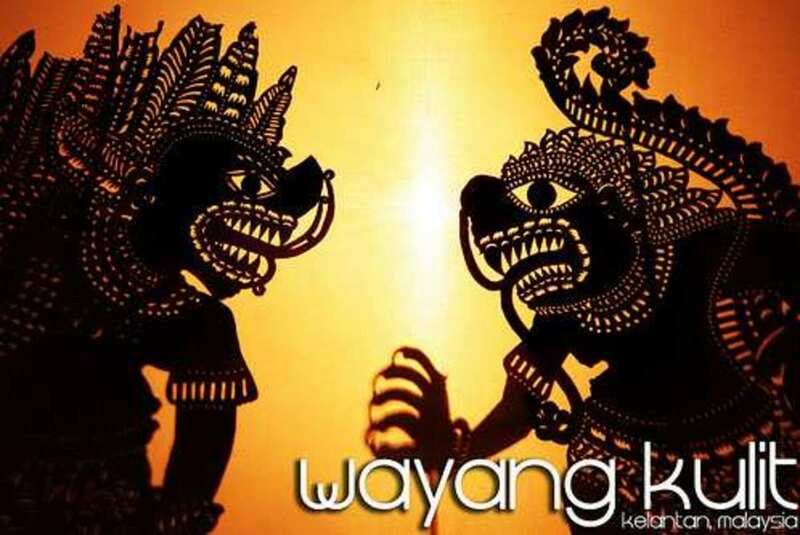 You can learn more about "Wayang Kulit" or Shadow Play, a popular traditional form of entertainment as well as the different ceremonies and how events like weddings are celebrated in different ways. The Faces of Malaysia Gallery introduces visitors to different ethnic groups that live in Malaysia through photos and replicas. Each race have their own unique features and yet they have learnt to live together in harmony. 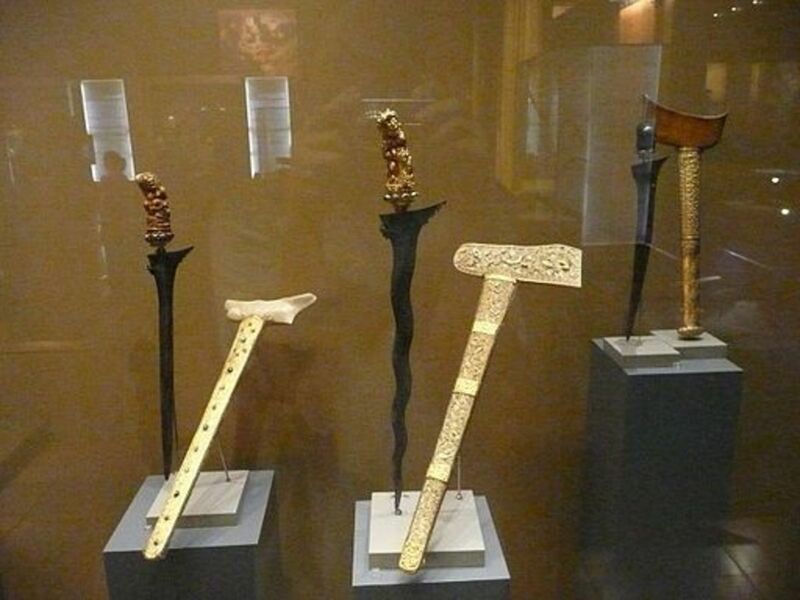 The Weapons, Music and Ceramic Gallery showcases the evolution of weapons from 35,000 to 2,500 years ago including the "keris", a weapon unique to the Malay culture with its distinctive wavy blade. Musical instruments of each culture are also different, each with its own unique sound and the way it is played. 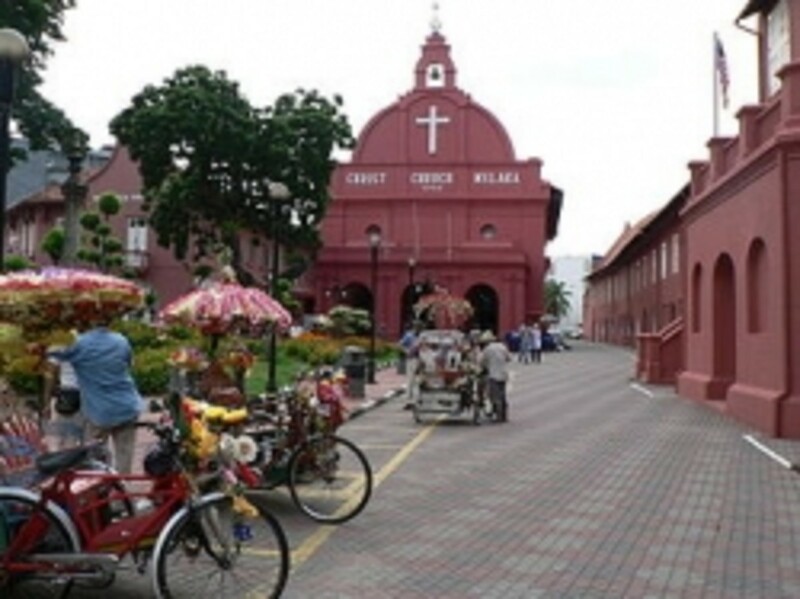 The cultural craft complex is styled like a Malay village and houses handicraft shops, art workshops and craft museum. It presents exclusive Malaysian handicrafts like silk kaftan, silk batik paintings, songket (brocade material), pottery, mengkuang products and pewterware. 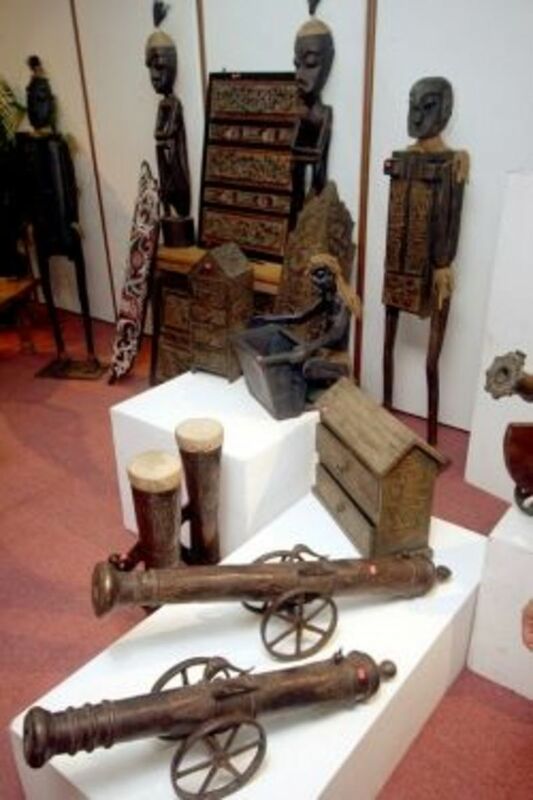 Craft demonstrations and practical interactive sessions are held at the craft museum where visitors can try their hand at making batik, pewter, ceramic or wood carving. Watch video of batik printing. 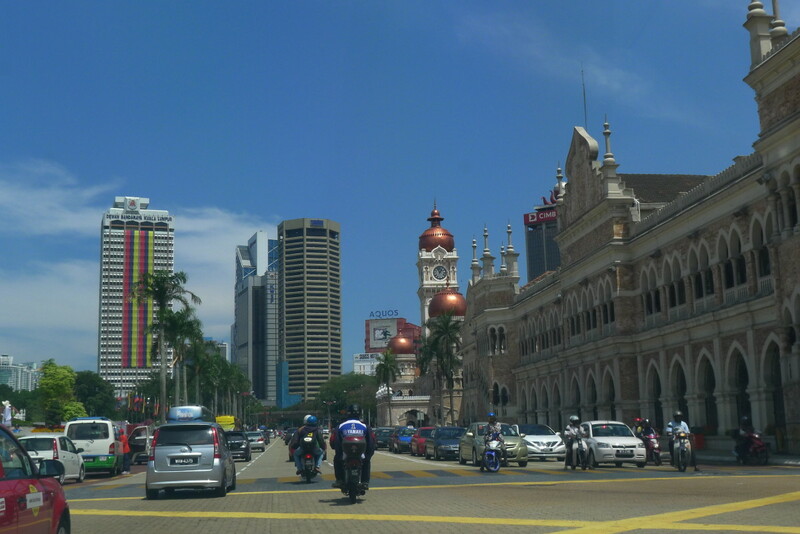 Kuala Kuantan is located just an hour's drive from Kuala Lumpur. It is in a mangrove swamp and to see the fireflies visitors have to take a boat tour. There are only two places in the world where fire flies congregate in huge numbers and Kuala Kuantan is one of them. 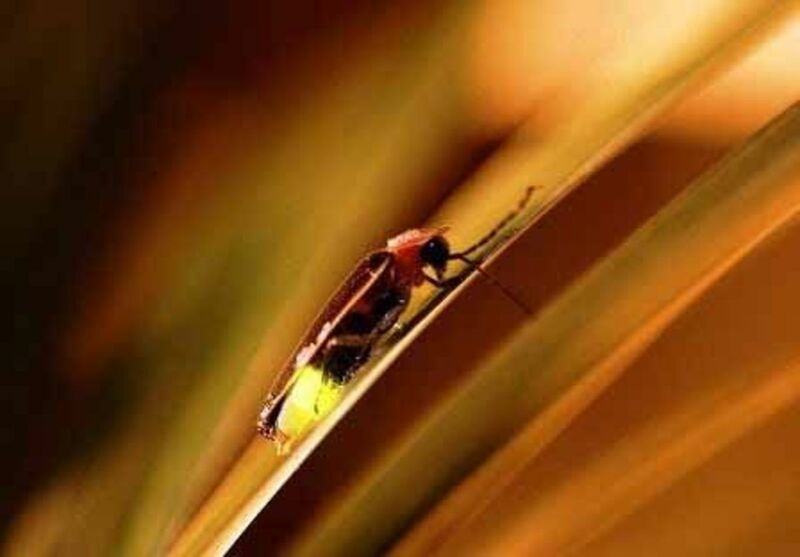 Fire flies are a a kind of beetle which is active at night. Its tail shines on and off in the dark. They shine their lights in unison at the rate of 3 flashes per second.The effect of thousands of fire flies all shining together is like that a of the lights on a Christmas tree.